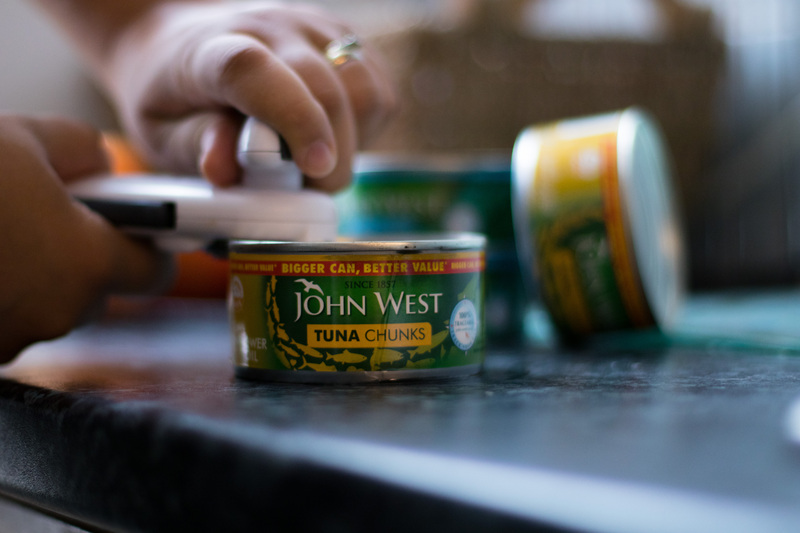 My husband is not a fan of tuna but I love it. 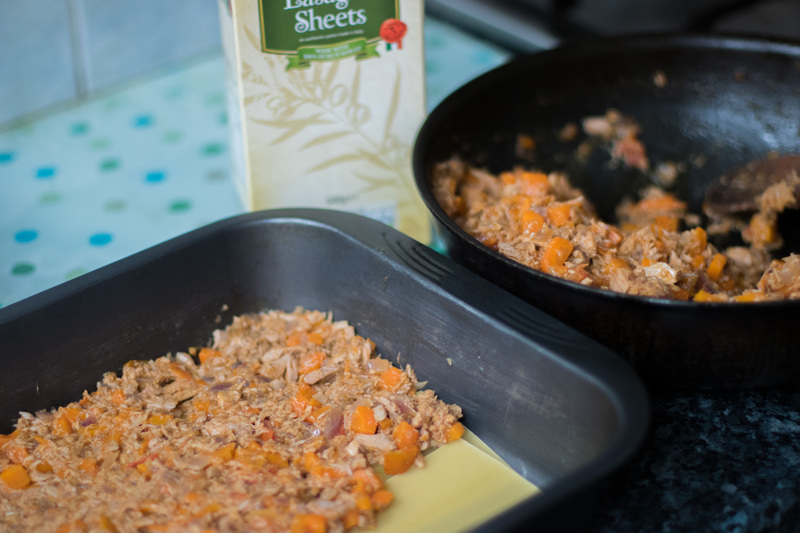 I could have tuna and sweetcorn all day long, so when I first made this lasagna and my husband loved it too, I was so happy. I make this recipe quite often now and I am craving it just as am I typing it right now, it’s just so good! This recipe serves 6 people, but even if you don’t have 6 people to serve, it’s great to have the next day as well. 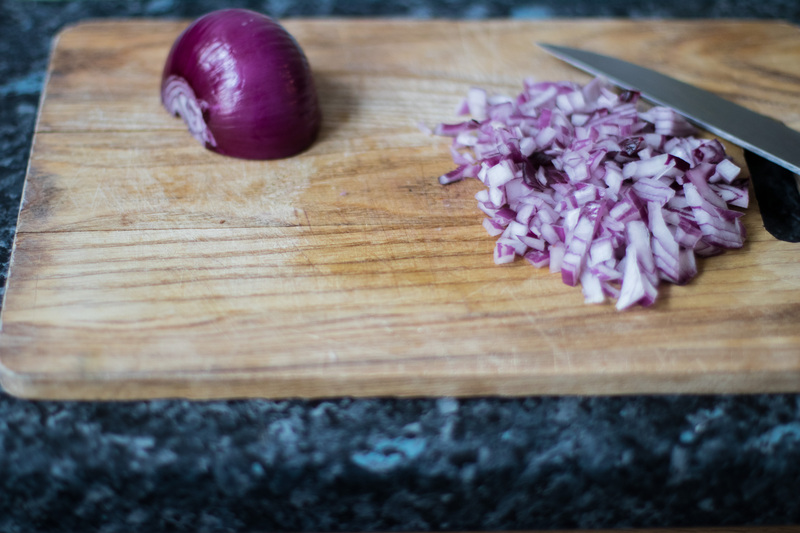 Meanwhile, peel and finely chop the onion and place a large shallow pan over a medium-high heat. 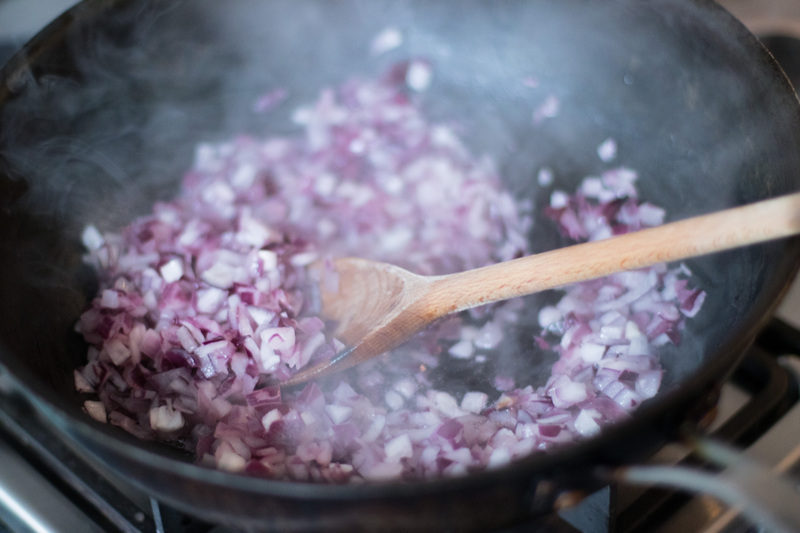 Drain the oil from the tuna tins to the pan and add the onion. Fry for 5 minutes or until softened, stirring occasionally. Turn the heat up to high and pour in the chopped tomatoes, salt and pepper. 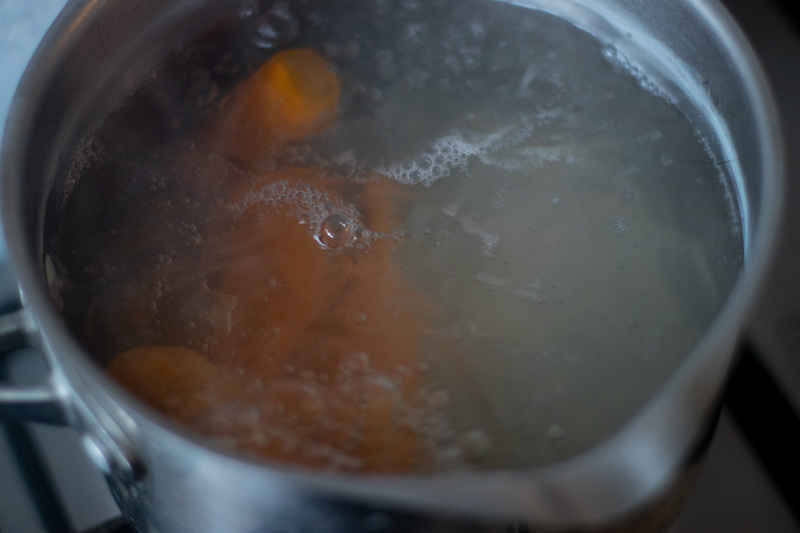 Bring to the boil, reduce the heat to low and simmer for 10-15 minutes. After draining the tuna brine water from the other two tins, add all the tuna and stir to the sauce. Season with a pinch of salt and a pinch of black pepper. 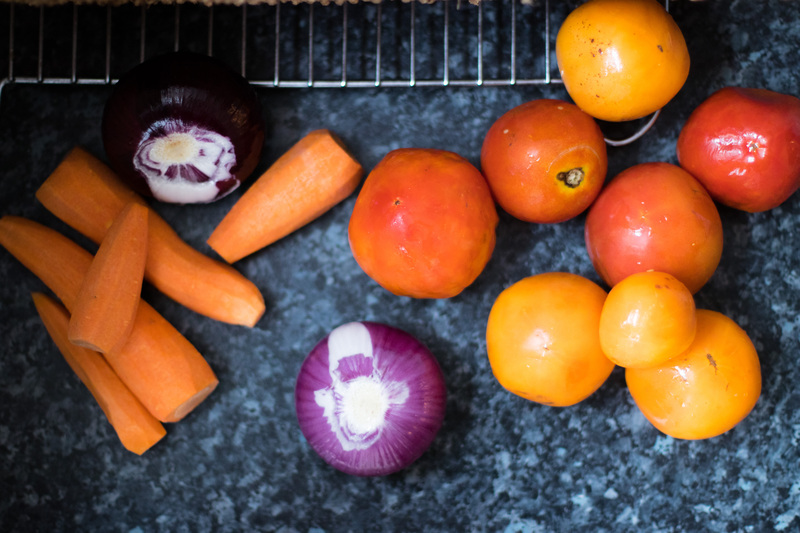 If the carrots are done, dice them and add them to the tomato sauce. Leave everything on a small to medium heat for another 5-10 minutes. 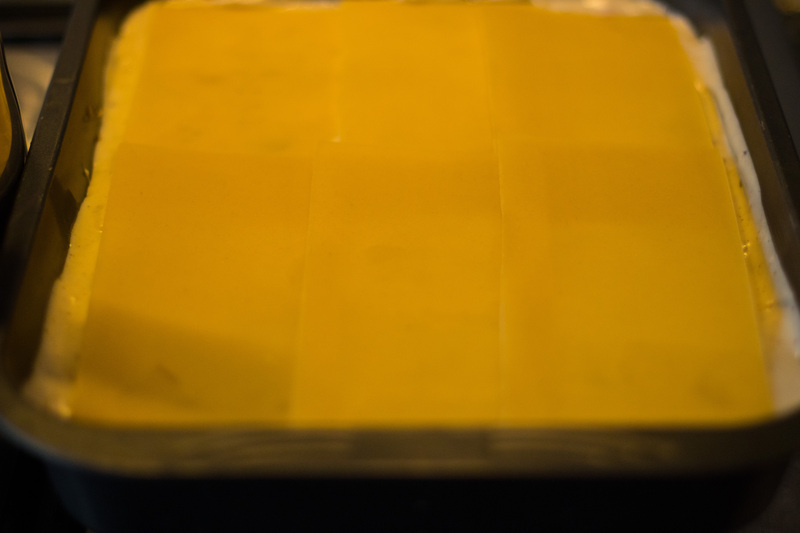 At this stage you can preheat the oven to 180ºC/356ºF/gas 4. 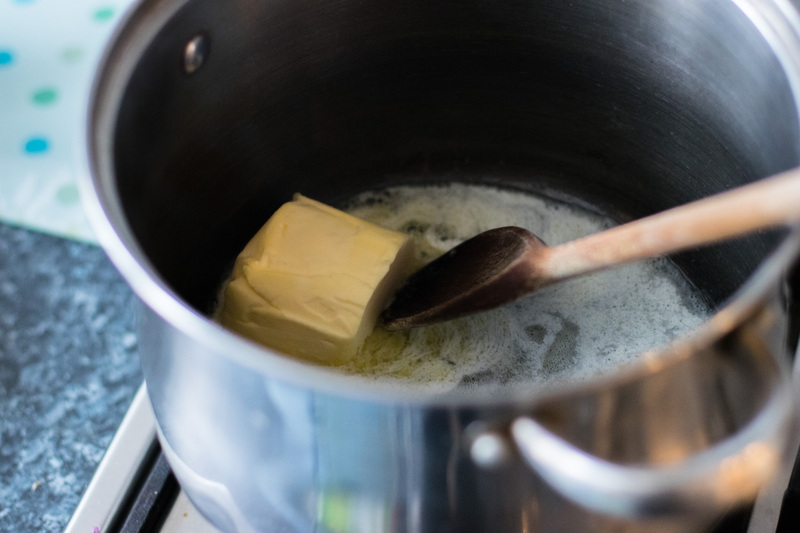 Melt the butter on a small to medium heat. 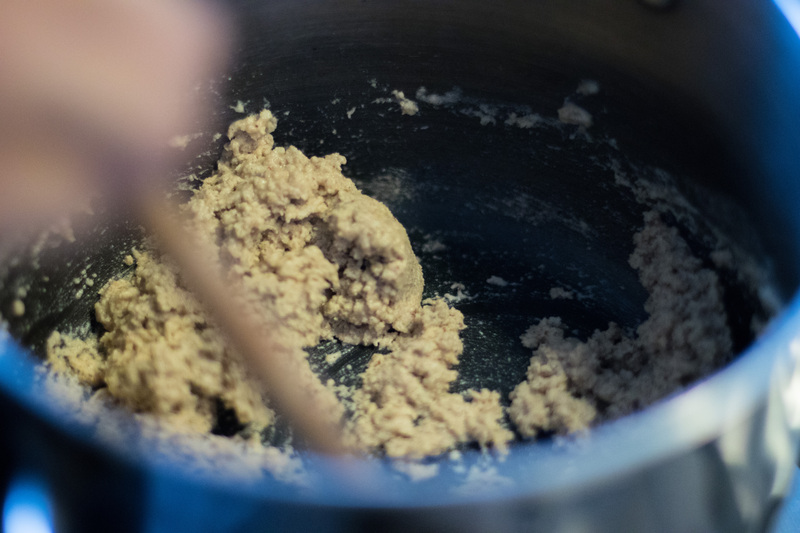 After the butter is melted, add the flour one spoon at a time and stir quickly and rapidly for about 1 minute. 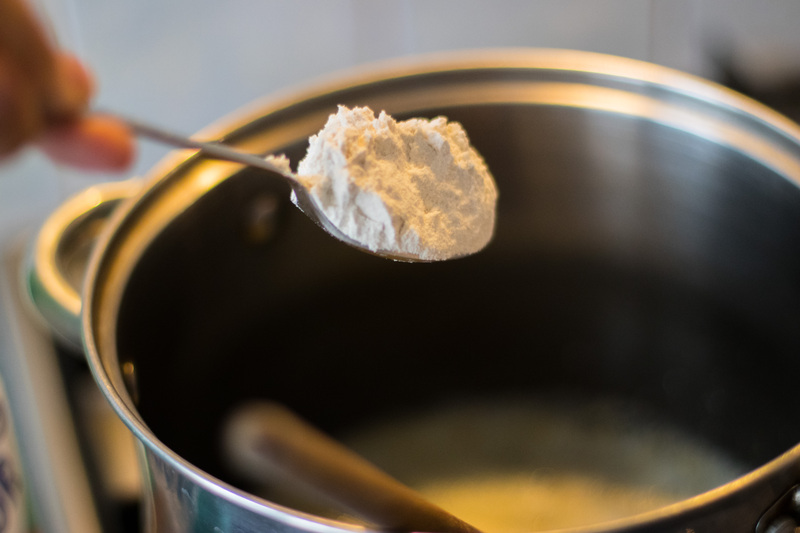 That is called the roux, but don’t cook it for too long. One minute or less is enough. 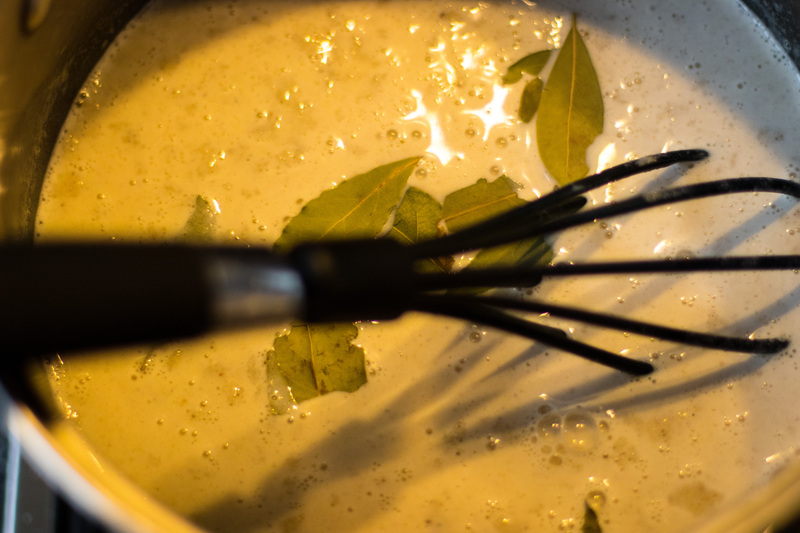 Add the milk a little bit at a time and keep stirring vigorously otherwise you will end up with a lumpy sauce. 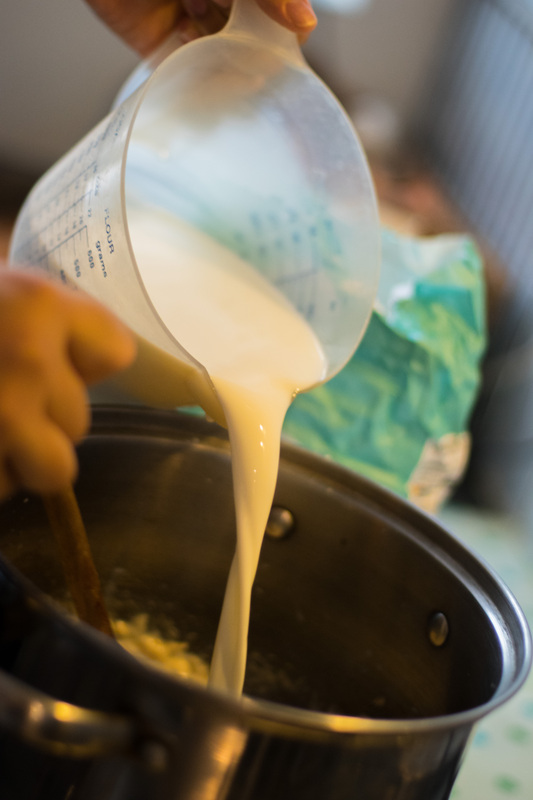 After adding a quarter of the milk, grab a whisk to stir it quicker and you can add the rest of the milk at once. 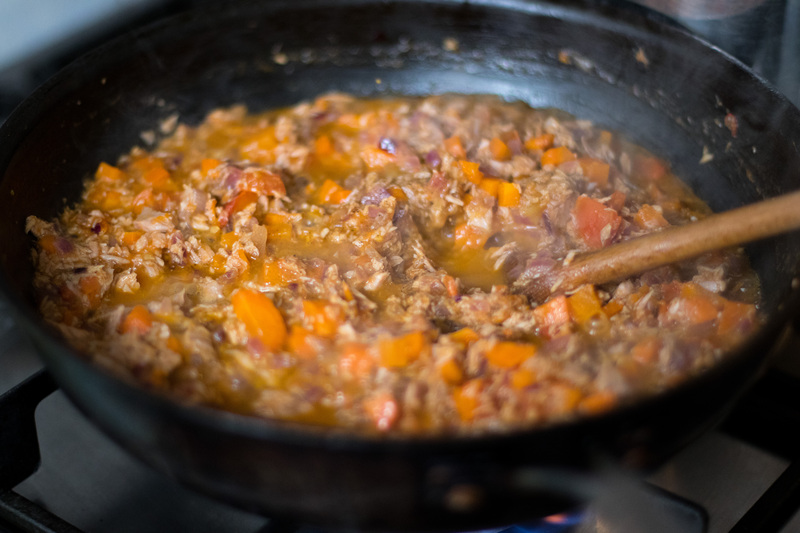 Stir constantly so the mixture doesn’t go lumpy, or catch at the bottom and affect the taste of the sauce. Add salt, pepper and thyme to your preference. Also, add 2 bay leaves. 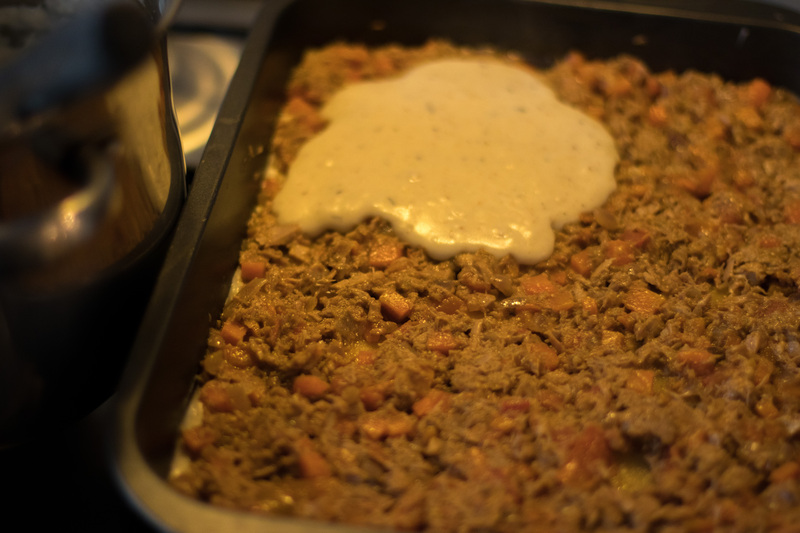 Leave it on a medium heat for about 5 minutes or until it has thickened a bit but keep stirring. 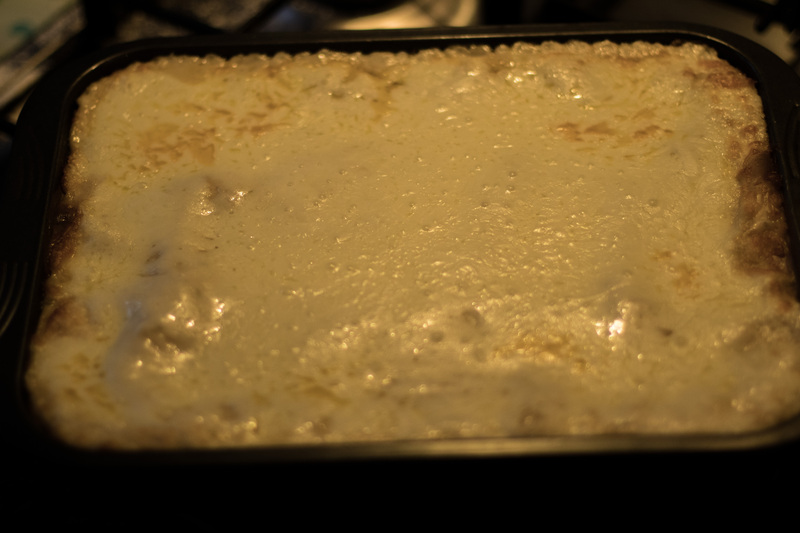 After all that is done, lay 6 dry (no need for pre-cooking) lasagna sheets on a baking tray, a layer of tuna and then a layer of béchamel. 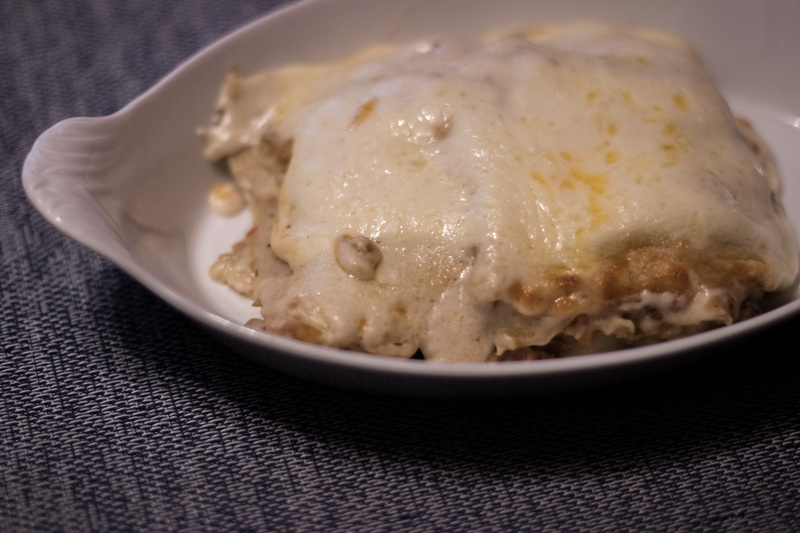 So in the end you will have lasagna sheets, tuna, béchamel, lasagna sheets, tuna, béchamel, lasagna sheets and then béchamel. 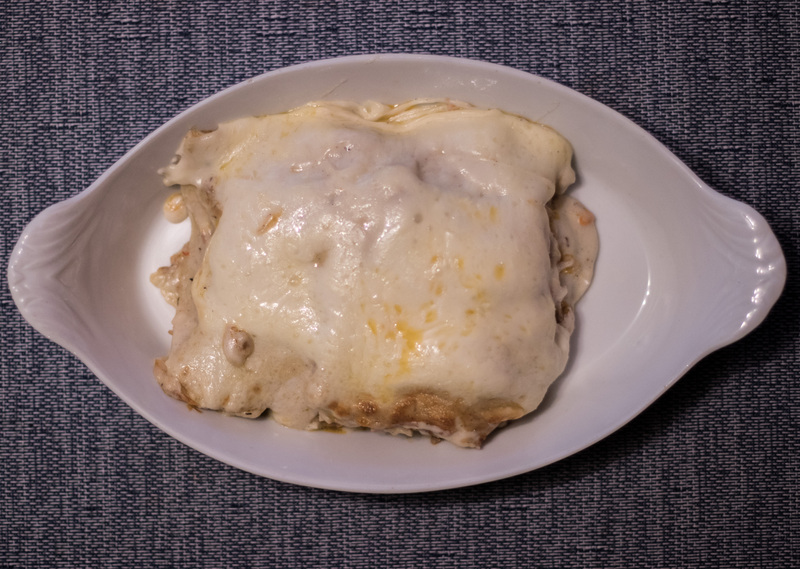 Place it in the oven for 15 minutes, then take it out to put the grated mozzarella on top and leave it for another 5 minutes.